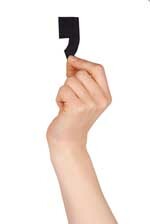 Comma Now, It’s a Question of Style | Rose Communications, Inc.
Great post. I’m glad to see that there’s room for both camps with the serial comma! I’ve always been a fan of the Oxford comma, and I’ve had people tell me it’s “just not right” to use it. I’ll be sending them this blogpost to let them know that both ways are acceptable. Thank you, Eve!